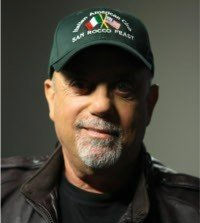 While everyone who has ever raised a toast to 'Captain Jack' or asked the 'Piano Man' to sing them a song was looking forward to reading Billy Joel's memoirs -- originally slated for release this summer -- they're going to have to wait a whole lot longer. Like, forever. Joel has canceled the publication of his autobiography, 'The Book of Joel,' even after handing in a complete manuscript. "It took working on writing a book to make me realize that I'm not all that interested in talking about the past," Joel told the Associated Press. "The best expression of my life and its ups and downs has been and remains my music." The publisher, HarperCollins, confirmed to the AP on Thursday that they have the finished manuscript in hand but that they have been forced to cancel their planned first run of 250,000 copies due to Joel's decision. Kareena ready to tie the knot!